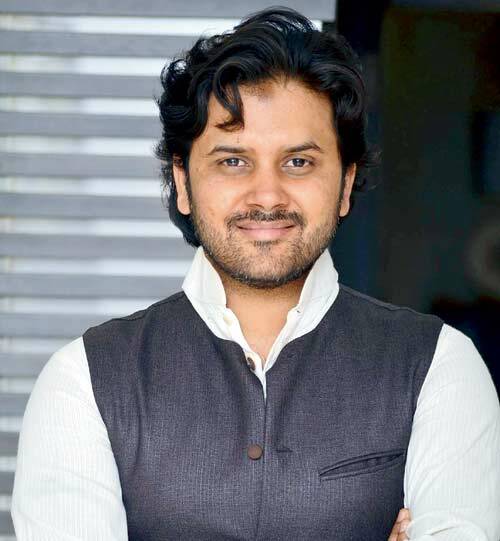 Singer Javed Ali talks AR Rahman and all things gaana in this exclusive interview! 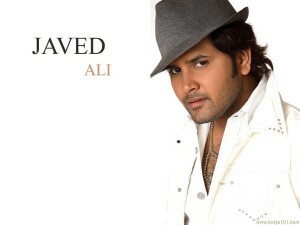 Known for his strong vocals that are full of feeling in every note, Javed Ali is one of the best singers in Indian film music today. He has sung for all the great music directors including Pritam, SEL, Vishal, Shekhar, Salim, Sulaiman, Jatin Lalit, Sajid, Wajid, Sohail Sen and Ankit Tiwari. 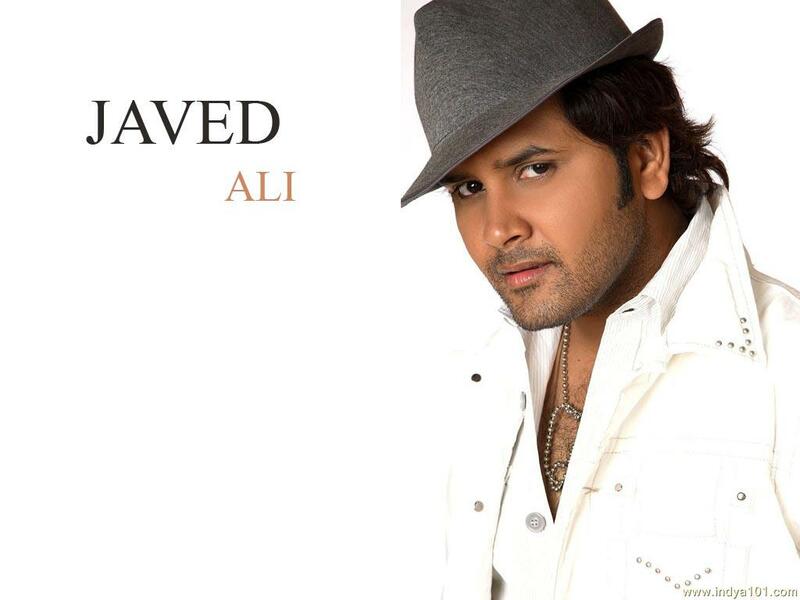 If that was not an impressive line up, the singer is also a favorite of AR Rahman and created such incredible tracks like ‘Jab Tak Hai Jaan’ (Jab Tak Hai Jaan), ‘Tum Tak’ (Raanjhanaa), ‘Kun Faya Kun’ (Rockstar), ‘Ranjha Ranjha’ (Raavan), ‘Guzarish’ (Ghajini), ‘Arziyan’ (Delhi-6) and ‘Jashn-E-Bahaara’ (Jodhaa Akbar). On August 15th, the singer is getting ready to take the stage with AR Rahman at the world famous O2 for a special AR Rahman Greatest Hits Live concert and promises it will be a night to remember. See what else Ali told me when we chatted about all things gaana in this exclusive interview! Check it out! Was singing always something you did and wanted to do as a career? I don’t have a filmi background but I do have a musical background. My father is a singer. I started singing by listening to all my Daddy’s programs and to my Guru Ghulam Ali saab’s singing. I didn’t know that I wanted to become a playback singer. It just happened. One day I came to Mumbai and I thought a singer should be versatile; he should be able to sing each and every genre. So that is how I turned my mind and that is how I started playback singing. My first song was for Pritam Chakraborty, the film was called Naqaab, the song was ‘Ek Din Teri Raahon Mein’ and that song was a huge hit, but the film did not do well. The song was very, very good. How do you prepare for a song? When I go to sing the song in the studio, I really study and learn the song and then, if it is possible, I ask the music composer, ‘What is the situation of the song?’ and he narrates that situation. According to what the situation is I mould myself to it and to the song. Tell us about working with the great AR Rahman. Actually it was a dream come true when I got to work with Rahman sir. You know, I always used to dream about working with AR Rahman – wondering and dreaming of the time when I will go to the studio and when I will dub a song for him. And God has given me the beautiful chance to work with him. Whenever I associate with him, I learn so much – lots in fact! I have had such a wonderful experience working with him. I think he is a living legend. It is every singer’s dream to work with him. I have done songs in many languages including Hindi, Telugu, Tamil and more. I am very happy that I have lots of songs with AR Rahman. 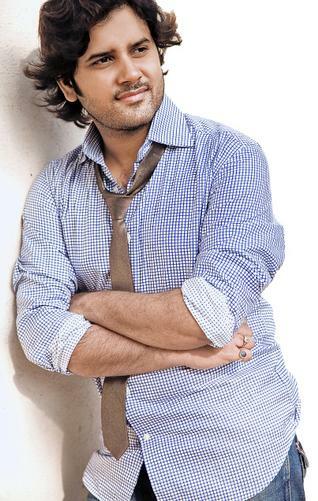 My fans, my well-wishers love my work with AR Rahman. They love each and every song. I am so happy about that. It is because of them and because of their prayers. Of course we have talk about your first song for Mr. Rahman, one of my favorites, the great ‘Jashn-E-Bahaara’ from the movie Jodhaa Akbar. From that song my life has changed. I am very thankful to Rahman sir that he has given me such a beautiful song. People really love this song! Of all the songs you have done do you have a favorite? Actually I can’t tell you only a single song – there are many songs. Of course ‘Jashn-E-Bahaara’ is one of my favorite songs. All of the songs that I have sang for AR Rahman and for any other composer – they actually are all of my favorite songs. I always sing those songs with passion and with love. What do you think Mr. Rahman brings out in you as a singer? Each and every one of his songs has a depth. Whatever song he gives me, whatever song he gives any other singer – it really creates magic. I don’t know what it is but something is there. If you listen to ‘Kun Faya Kun’, if you listen to ‘Jashn E Bahaara’, if you listen to ‘Arziyan’… you can hear that. You know, when I do my own shows, they always ask me to sing these songs whether it is there in my list or not. I have to sing these songs otherwise my concert is not finished. (Laughs) It is a real achievement for me. So something is there in his songs, there is magic there. I really can’t explain it but it is magic. He is a very spiritual guy. There is such honesty in his work. I really admire him that he has that. I always love to work with him. You are getting ready to perform at the world famous O2 in London at AR Rahman’s Greatest Hits Live concert, are you excited? I am very excited to do the performance at the O2. It is one of my favorite places to perform. I had come with AR Rahman and performed at the O2 five years ago and I really had a great time performing at the O2. Again I am very, very happy to be a part of this wonderful evening. I am sure it is going to be a great evening. We are looking forward to performing these great songs for the audience. I will be doing all my songs like ‘Jashn-E-Bahaara’, ‘Kun Faya Kun’, ‘Arziyan’, ‘Jab Taak Hai Jaan’ plus ‘Khwaja Mere Khwaja’ and the many other songs. I am looking forward to a great response because the people love AR Rahman sir’s music and people are always eagerly awaiting his concert. It is my humble request to everyone, please do come for this concert and enjoy this concert. And please do give me some encouragement and do cheer for us! What do you think of Hindi film music today? There are a lot changes there now. In the last couple of years the style of music has changed. The music these days is so vast. The style of singing has also changed. The style of composition and the style of arrangement have changed as well. There are a lot of changes but it is a cycle na? The audience wants changes so that is what contributing to the change. But changes are important and good na? A couple of years back people used to ask me who is the singer that you admire very much? Now these days people want more freshness. They want more your own style rather than you copying someone – rather than you copying Mohammed Rafi saab or Kishore Kumar saab. It is not like that today – you have to be yourself. That is very important in Indian music today. Right now I have just released my title song ‘Bezubban Ishq’, and of course there is my song from the very biggest movie Salman bhai’s movie Bajrangi Bhaijaan. 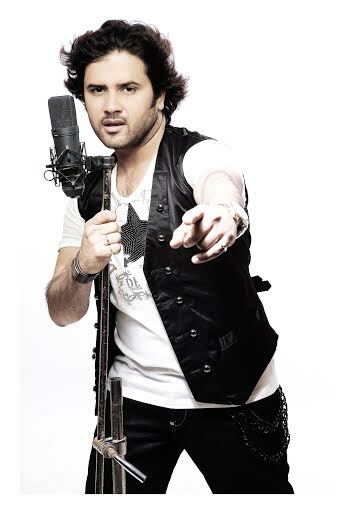 It is a very beautiful song titled ‘Tu Jo Mila – Dekhna Na Mudke’. It is a very beautiful romantic song and if you have not heard it please go listen! This song has done very well and has really been loved by the people. I also have lots of upcoming projects out there. I am doing lots of private projects, lots of songs for film. Lots of things are happening. I am very happy with what God has given me right now. I am very thankful to God, but I think I have to do much more than what I have done so far. I want to do so much more. Actually I am not that old that I should advise somebody (laughs) but I can tell them a little. It is a tip from me. Be honest. Be honest with your work. Be confident in your work. And what ever you are doing just be yourself. I really think that is a main key of success. I would like to thank all my fans. All my well-wishers I would like to thank them for all the love. Please do continue. I will definitely do better and better work. Please give me your blessings. I need it and thank you so much for being with us. We would like to thank Mr. Ali for the great conversation! We are looking forward to seeing him on stage at the O2. For more information on the AR Rahman Greatest Hits Live concert at the O2 on August 15th check out this link! 15 queries in 1.078 seconds.